در این پژوهش از 15 برش از خاور تا باختر البرز نمونه‌گیری انجام شد که بهترین برش و کامل‌ترین آنها از نظر غنای ماکروفسیل و میکروفسیل برش آبرندان است. 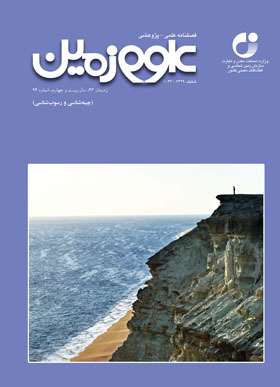 در شمال باختر شهرستان دامغان 54°15’54.9’’E 36°21’12.7’’ N با موقعیت جغرافیایی از 807 نمونه براکیوپود مطالعه شده در طی این مطالعات سیستماتیک 22 گونه و 10 جنس و 5 روخانواده یافت شد که جنس‌ها و گونه‌های یافت است. روش مطالعات سیستماتیک بر اساس کار Williams et al. (2000) برای Productids، Williams & Brunton (2000) برای Orthotetids، Williams & Harper (2000) برای Orthids، Savage et al. (2002) برای Rhynchonellids و Alvarez & Rong (2002) برای Athyridids انجام شده است. تمامی اندازه‌گیری‌ها بر اساس سانتی‌متر است به جز در تشخیص گونه‌ها که درحد میلی‌متری مطالعه شده است. برای مطالعات دیرین‌زیست‌جغرافیا توصیف تمامی جنس‌ها و آمده است. اسامی نمونه‌های یافت شده گونه‌ها همراه با گراف و نمودار پراکندگی آنها در ایران و مقایسه آن با تمامی دنیا در نمودارهای اکسل به شرح ذیل است:Leptagonia analoga (Phillips, 1836) Delepineineae gen et. sp. ind., Geniculifera sp. ind., Dictyoclostinae gen et sp.ind., Buxtonia sp. ind., Marginatia vaughani (Muir-Wood, 1928), Marginatia sp.ind., Tomiproductus elegantulus (Tolmatchoff, 1924), Tolmatchoffini gen. et.sp. ind. Pustula cf. P. altaica Tolmatchoff, 1924, Pustula cf. P. kondomensis Sarytcheva, 1963, Pustula spp. Schellwienella sp. A, Derbyiidae gen et sp.ind. Rhipidomella michelini (Leveille, 1835), Rhipidomella sp. A, Rhipidomella sp. B, Schizophoria (Schizophoria) resupinata (Martin, 1809), ? Ptychomaletoechia sp.ind., Hemiplethorhynchus crassus Gaetani, 1968, Rossirhynchus adamantinus Gaetani, 1964, Paraphorhynchus aff. P. elongatum Weller, 1905, Athyris sp. ind., Cleiothyridina kusbassica Beznosva in Sarytcheva et al., 1963, Gerankalasiella sp. ind., Composita megala (Tolmatchoff, 1924), Composita subquadrata (Hall, 1858a), Densalvus sp. ind., Martinia sp. ind., Ectochoristites sp. ind., Prospirinae gen. et. sp. ind., Athylepherous sp. ind., Parallelora sp. ind., Unispirifer (Unispirifer) striatoconvolutus (Benson & Dun in Dun & Browne, 1920), Unispirifer sp. A, Unispirifer sp. B, Imbrexia sp. ind., Fusella sp. ind., Syringothyris carteri (Hall, 1857), Syringothyris skinderi Sokloskaja. 1963 in Sarytcheva et al., 1963, Pseudosyrinx sp. ind.. 16 جنس و 11 گونه برای اولین بار درکربنیفر ایران گزارش شده‌اند. In this research, the brachiopod fauna from the Tournaisian (Early Carboniferous) Mobarak Formation located in the EasternAlborzMountains, North Iran have been analyzed. 745 specimens have been collected from the Abrendan section, located in north of the DamghanTown. The specimens classified into 36 species of 27 genera and 5 undetermined species and genera of 5 subfamilies in 8 orders: Leptagonia analoga (Phillips, 1836), Delepineineae gen et sp. Ind., Geniculifera sp. Ind., Dictyoclostinae gen et sp. Ind., Geniculifera sp. Ind., Buxtonia sp. Ind., Marginatia vaughani (Muir-Wood, 1928), Marginatia sp. Ind., Tomiproductus elegantulus (Tolmatchoff, 1924), Tolmatchoffini gen. Et. Sp. Ind., Pustula cf. P. Altaica Tolmatchoff, 1924, Pustula cf. P. Kondomensis Sarytcheva, 1963, Pustula spp., Schellwienlla sp. A, Derbyiidae gen. Et sp. Ind., Rhipidomella michelini (Léveillé, 1835), Rhipidomella sp. A, Rhipidomella sp. B, Schizophoria (Schizophoria) resupinata (Martin, 1809),?Ptychomaletoechia sp. Ind.,Hemiplethorhynchus crassus Gaetani, 1968, Rossirhynchus adamantinus Gaetani, 1964, Paraphorhynchus aff. P. Elongatum Weller, 1905, Athyris sp. Ind., Cleiothyridina kusbassica Beznosova in Sarytcheva et al., 1963, Gerankalasiella sp. Ind., Composita megala (Tolmatchoff, 1924), Composita subquadrata (Hall, 1858a), Densalvus sp. Ind., Martinia sp. Ind., Ectochoristites sp. Ind., Prospirinae gen. Et. Sp. Ind., Athylopherous sp. Ind., Paralellora sp. Ind., Unispirifer (Unispirifer) striatoconvolutus (Benson & Dun in Benson, Dun & Browne, 1920), Unispirifer(Unispirifer) sp. A, Unispirifer (Unispirifer) sp. B, Imbrexia sp. Ind., Fusella sp. Ind., Syringothyris carteri (Hall, 1857), Syringothyris skinderi Sokloskaja, 1963 in Sarytcheva et al., 1963, Pseudosyrinx sp. Ind. A species of Molusca Rostrochonca, Hippocardia alborza Hoare & Aghababalou, 2001 has been also found. The quantitative biostratigraphic analysis of the brachiopod assemblages bed by bed collected along the Abrendan section allowed the recognition of three concurrent range biozones: the Schizophoria (S.) resupinata-Pseudosyrinx sp. Ind. Biozone, the Composita subquadrata-Geniculifera sp. Ind. Biozone, and the Cleiothyridina kusbassica-Unispirifer (U.) striatoconvolutus biozone. Most of the brachiopod taxa in the biozones range from the Tournaisian to the Visean. However, some are restricted to the Tournaisian, confirming the age suggested by foraminifers in the upper part of the formation. The statistical and paleogeographical analysis show that the North Iran Brachiopods are mostly close to the coeval faunas from N America and Russia. This confirms the presence of an equatorial current flowing southeastward along the Gondwanan margin.